Minutes from Catskill village, this unspoiled oasis still looks remarkably like 19th-century paintings of the site by Frederic Church and Thomas Cole. Mawignack Preserve includes more than two miles of shoreline on Catskill Creek. Photo: Robert Rodriguez, Jr.
Catskill, Greene County (144 acres)—Opened in May 2018, Mawignack Preserve is named after a Native American word meaning “the place where two rivers meet” and was the name of an Algonquian village on the flats along Catskill Creek in the 17th century. 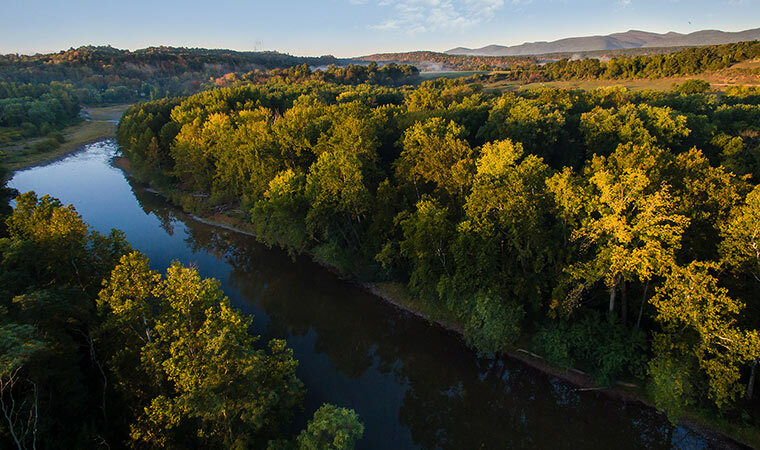 Located just upstream of the Village of Catskill, the preserve is at the confluence of Catskill and Kaaterskill creeks. 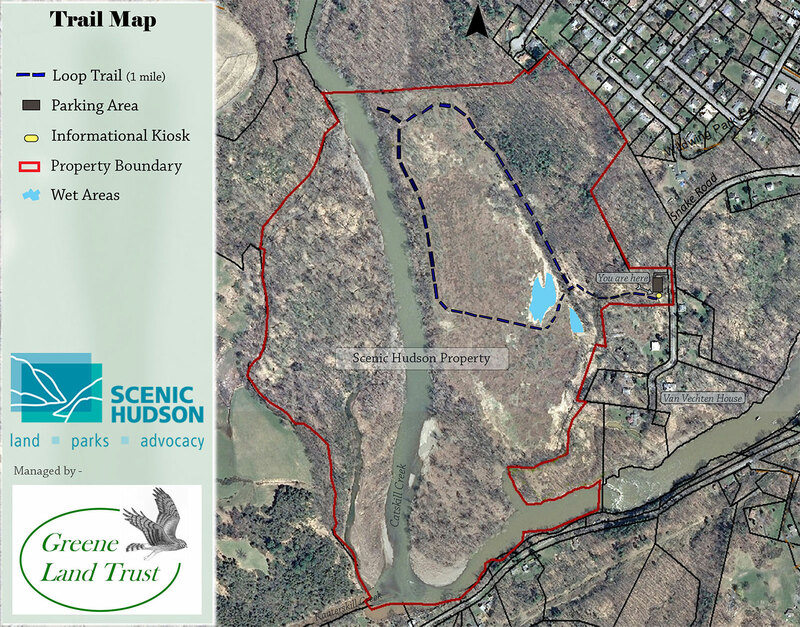 The loop trail takes visitors through upland woodlands and low meadows to the shores of the Catskill Creek, a major Hudson River tributary. The Greene Land Trust created and manages the park. Thanks to this partnership, visitors can experience the landscape that inspired Hudson River School painters Thomas Cole and Frederic Church as seen in their 19th-century paintings of this stunning site. Year round, dawn to dusk. Allow one hour. The preserve is located on Snake Road approximately 0.7 mile from the intersection with Jefferson Heights Road.